The life-size Gundam statue is being taken down after 5 March 2017. Grand Nikko Tokyo Daiba Hotel (formerly Grand Pacific le Daiba) is closing its Gundam themed hotel rooms on 31 March 2017. 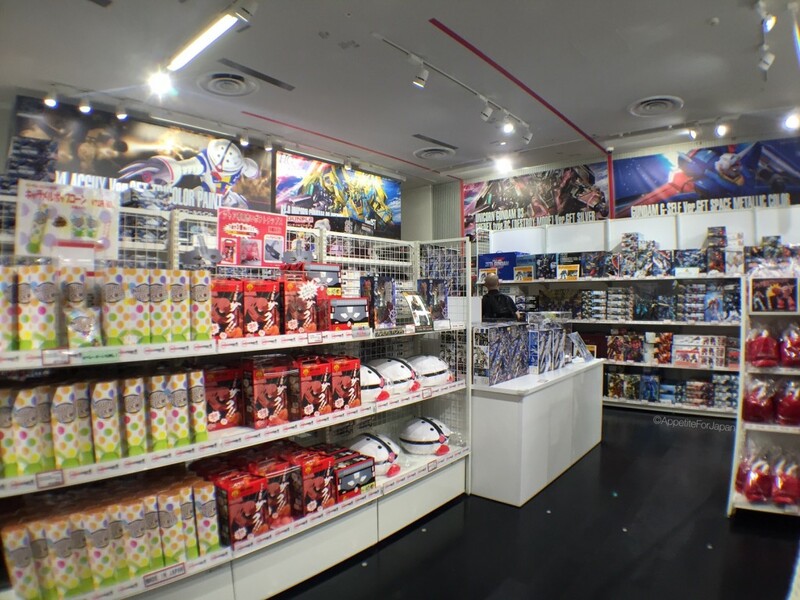 Gundam Front Tokyo is closing on 5 April 2017. If you’re keen to experience any of the above, get in quickly before it’s too late. 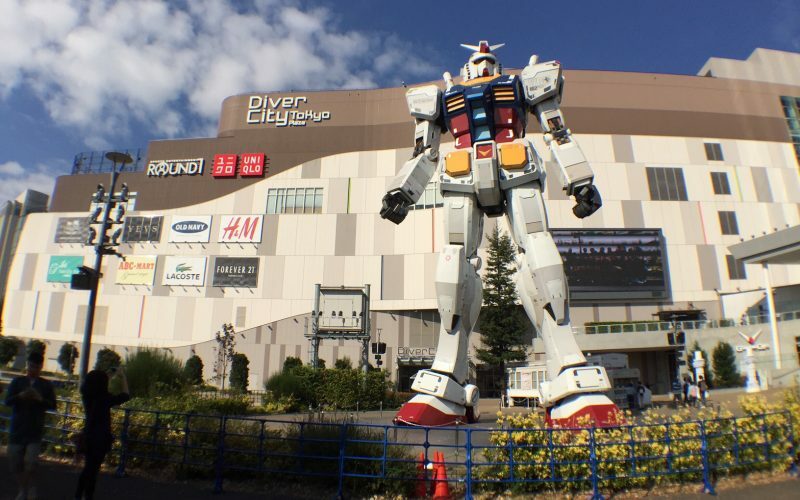 Standing at 18 metres tall, the RX-78-2 Gundam was constructed as part of the 30th anniversary of the Gundam series in 2009, and resided in a couple of locations before making itself at home in Odaiba, Tokyo. 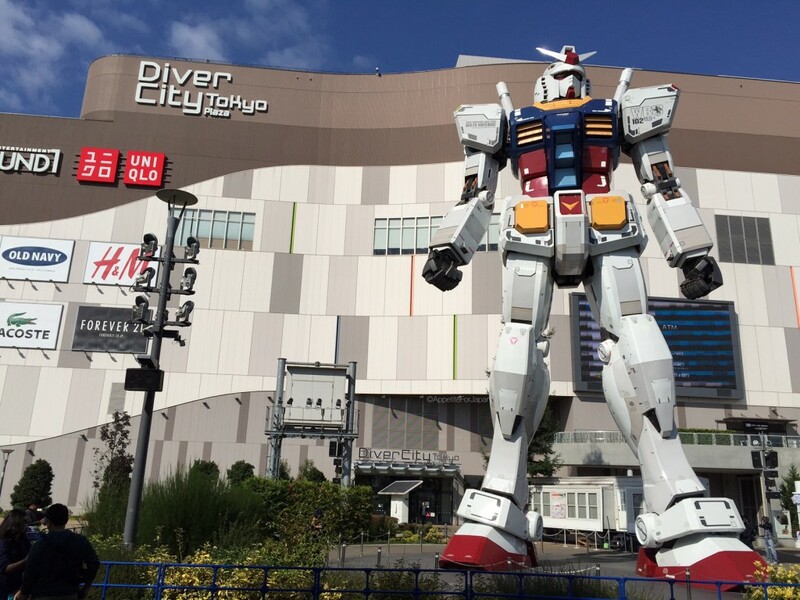 The giant Mobile Suit Gundam is just outside the Diver City Shopping centre. There is no cost to view the Gundam statue, and thanks to its size, it’s easy to get a good photo of it without too many other people in the way. 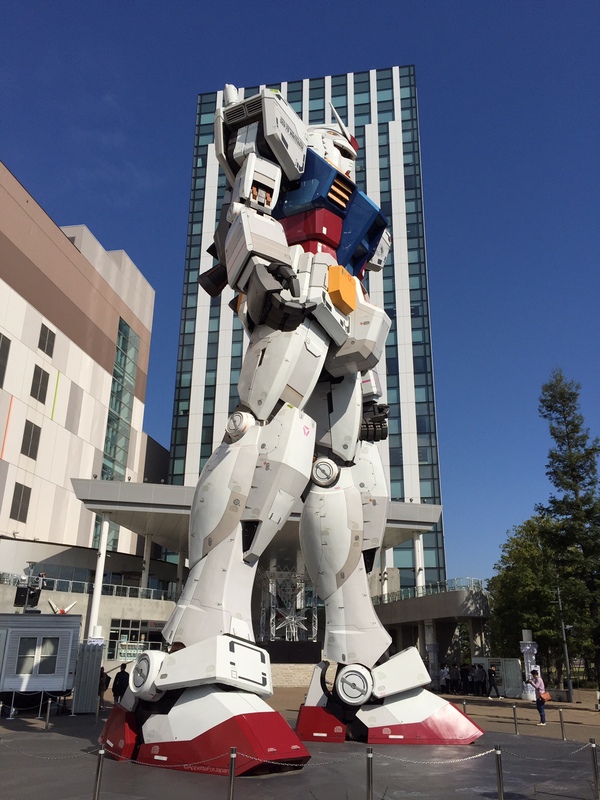 ‘Full-size Gundam Statue Performances’ take place multiple times a day. 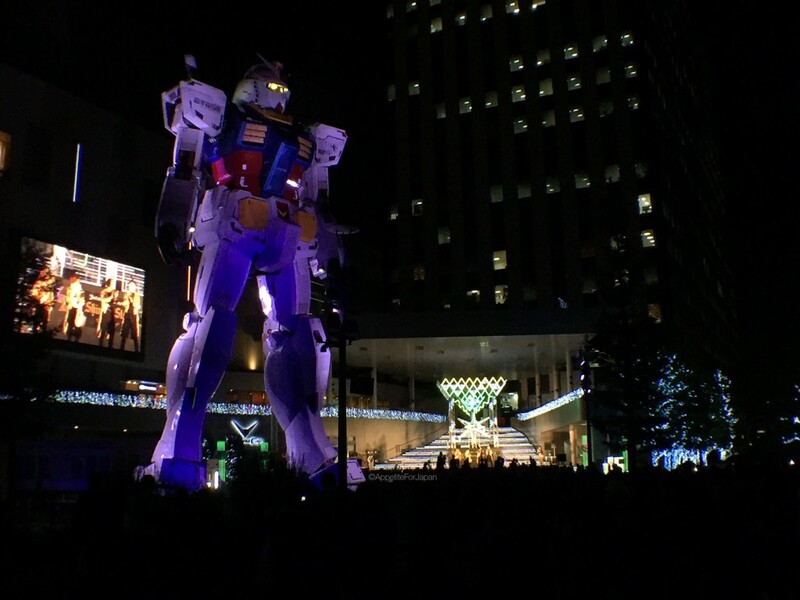 During daylight, performances consist of music, Gundam’s head moving, along with some lights (such as its eyes) and mist or steam. 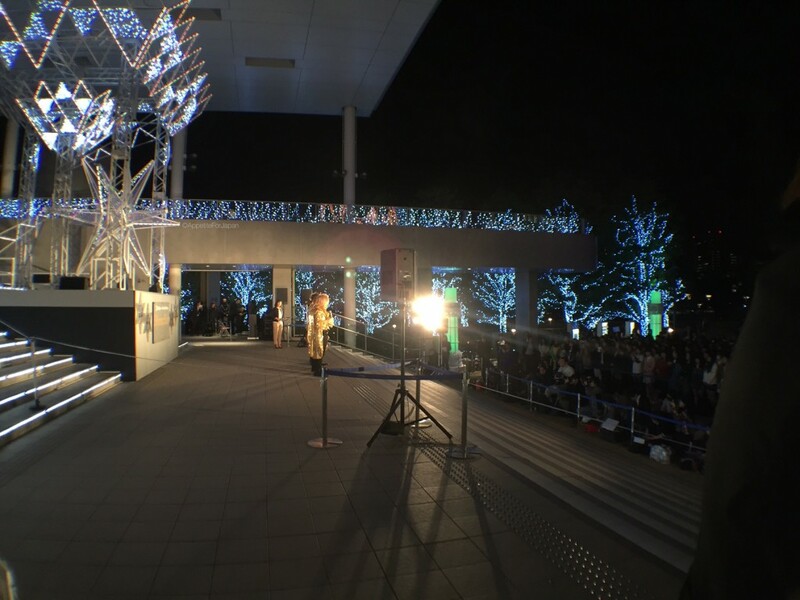 At night there are two different performances – each running two to three times an evening – “Gundam Stand at Jaburo Aware/Tenshi Version” (around 13 minutes and featuring a video on the screen behind it) and “GundamReconguista in G FROM THE PAST TO THE FUTURE!” (about 9 minutes and also featuring a video on the screen). Above: A timetable of when the Gundam performances happen. Note that the performance times vary depending on the time of the year. For up to date performance times, visit the Diver City Tokyo website. Above: A video I took of the midday Gundam action sequence. 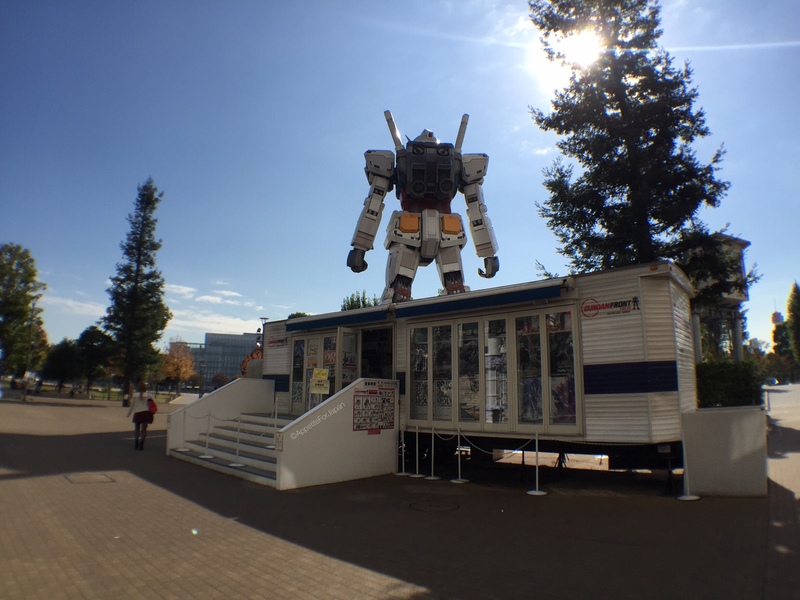 Once you’ve seen the enormous Gundam statue, the next thing to look at is a small Gundam shop in a portable building just outside Diver City. 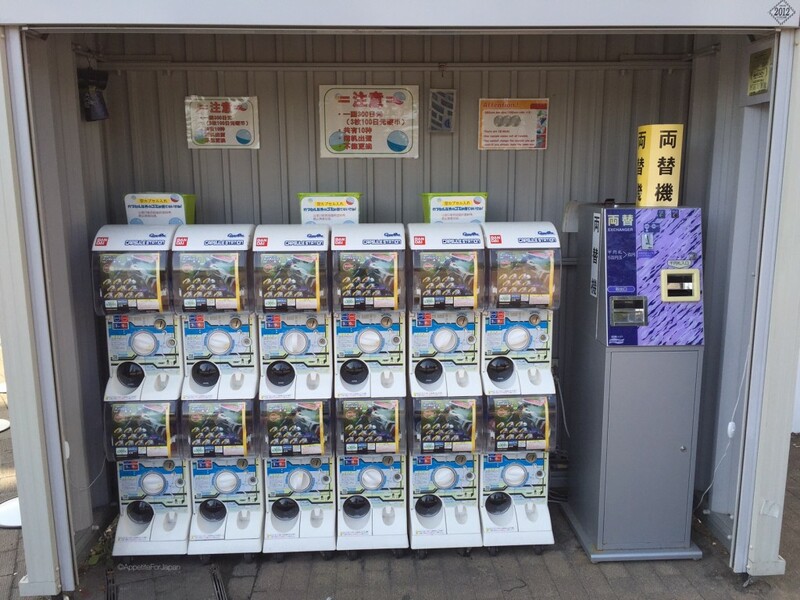 Above: Gundam gachapon, along with a machine to change your cash into 100 Yen coins so that you can purchase a gachapon or twelve. A sign on the steps to the shop indicates the items that you can purchase there. It also has the opening hours – 10:00 to 21:00. 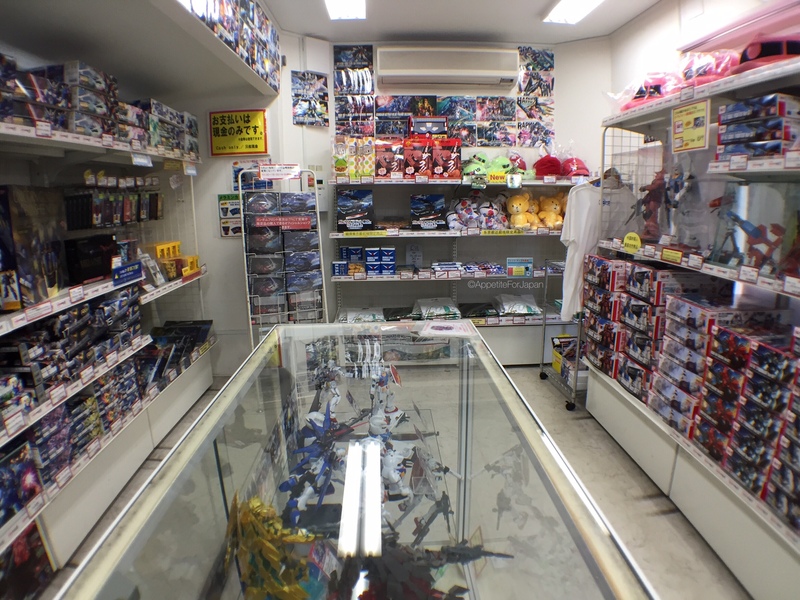 Inside the shop you can find Gundam merchandise ranging from Gunpla kits to Gundam stationery and t-shirts. This shop accepts cash only, so make sure you’ve got some money on you if you’re thinking of purchasing anything from here. To the right of the nearby entrance to the Diver City shopping centre is the Gundam Cafe. 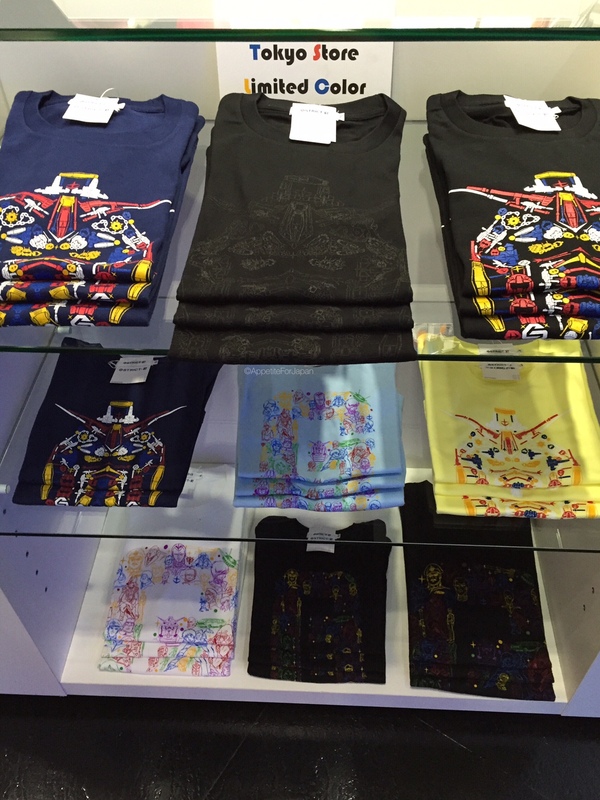 This one is called the Diversity Tokyo Plaza store on the Gundam Cafe website. By ‘Diversity’, they actually mean ‘Diver City’ (as in, the shopping centre). Unlike the Gundam Cafe in Akihabara, this one is not a proper sit-down eatery and does not have many food or drinks options. 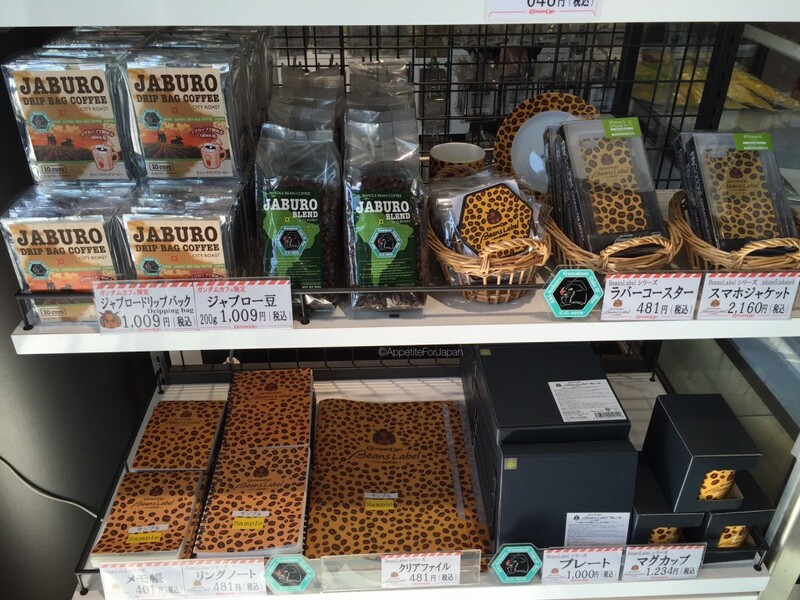 It only sells take-away food and snacks, and there is more merchandise than anything else. In other words, it’s not really a cafe. 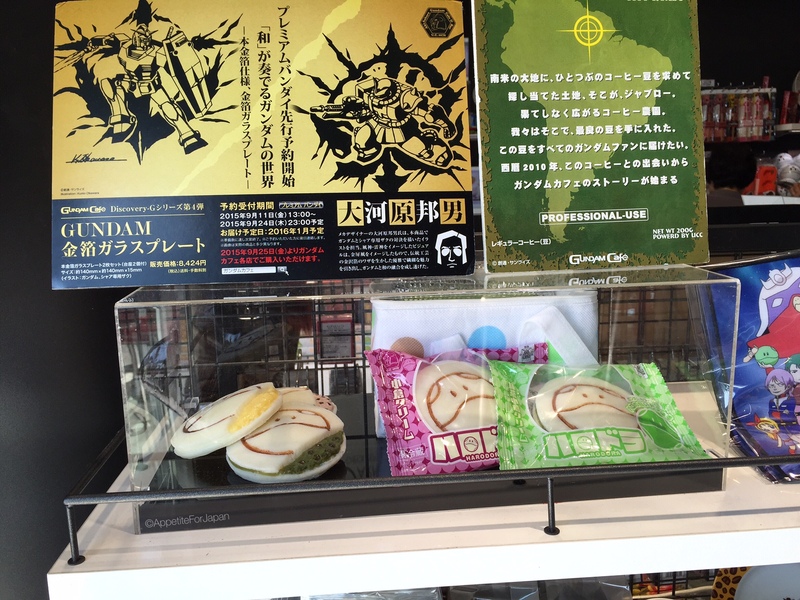 Above: Signs at the entrance to the Gundam Cafe show the menu items. Again, if you’re looking for a proper sit-down cafe with a larger variety of Gundam meals, consider visiting the Akihabara Gundam Cafe. 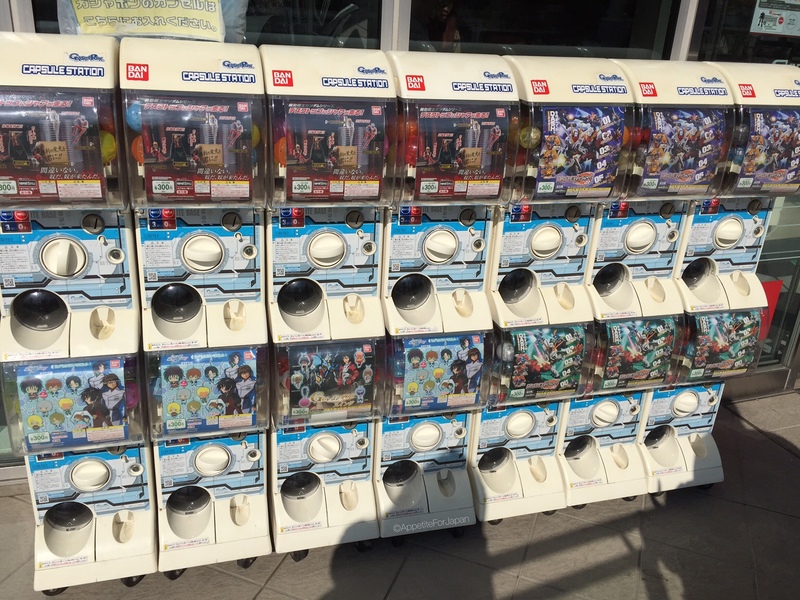 Above: You’ll find more Gundam gachapon outside the Gundam Cafe. 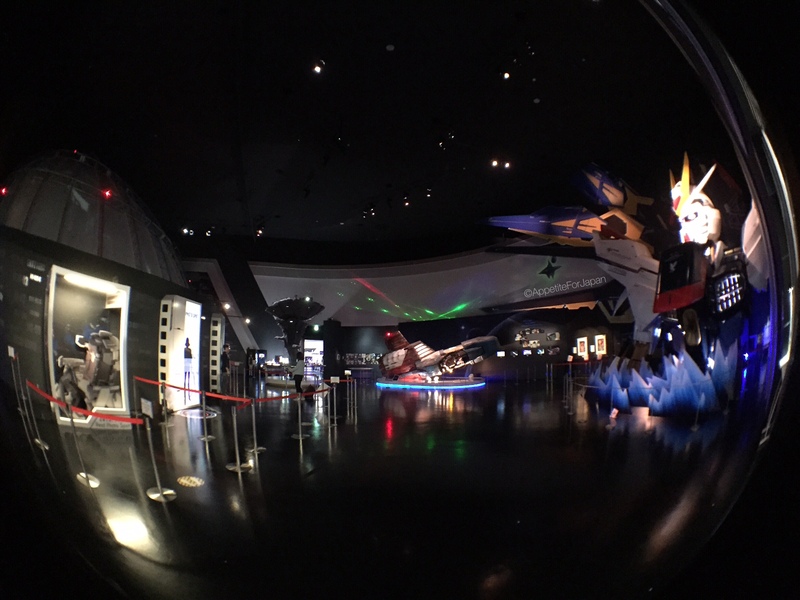 Above: Inside the Odaiba Gundam Cafe. 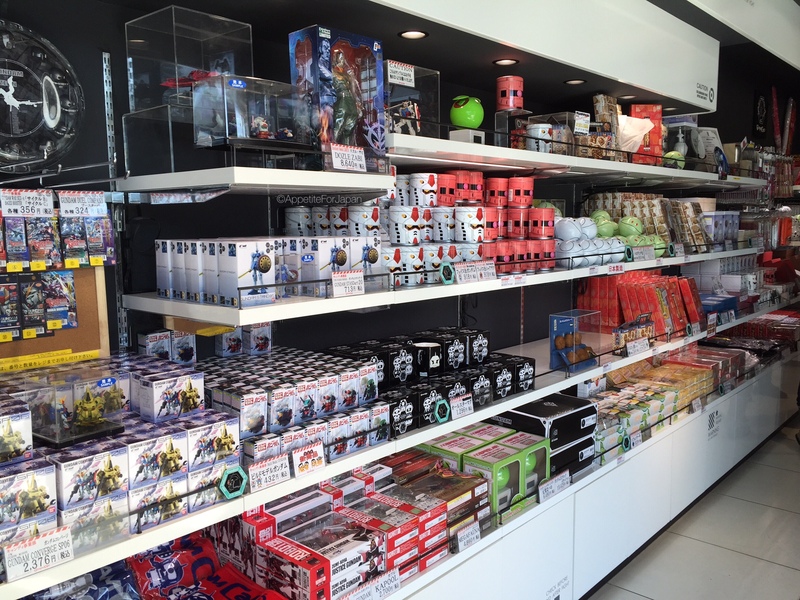 Plenty of Gundam merchandise – much of which is food related (spoons, mugs, coasters, etc). Above: Gundam snacks – these are the display versions. Above: The real thing. 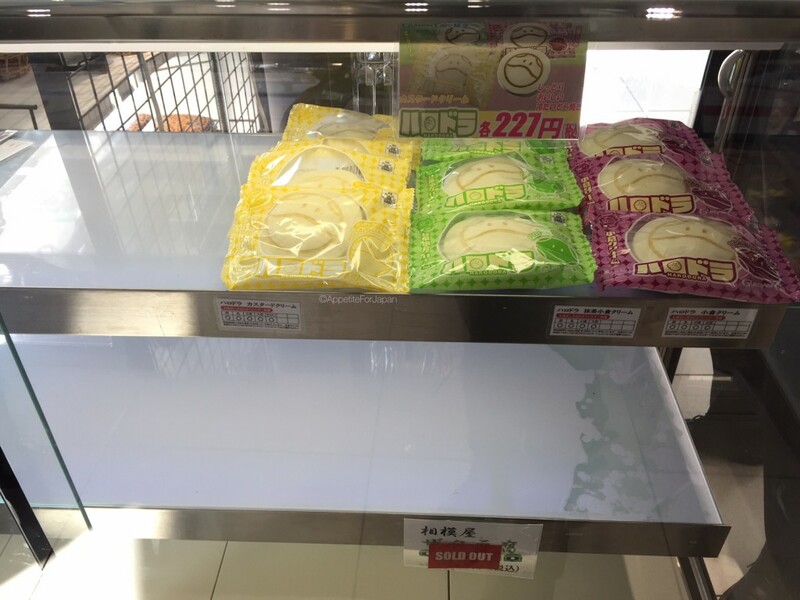 Either these are really popular, or they don’t restock very often. Above: More fake food. 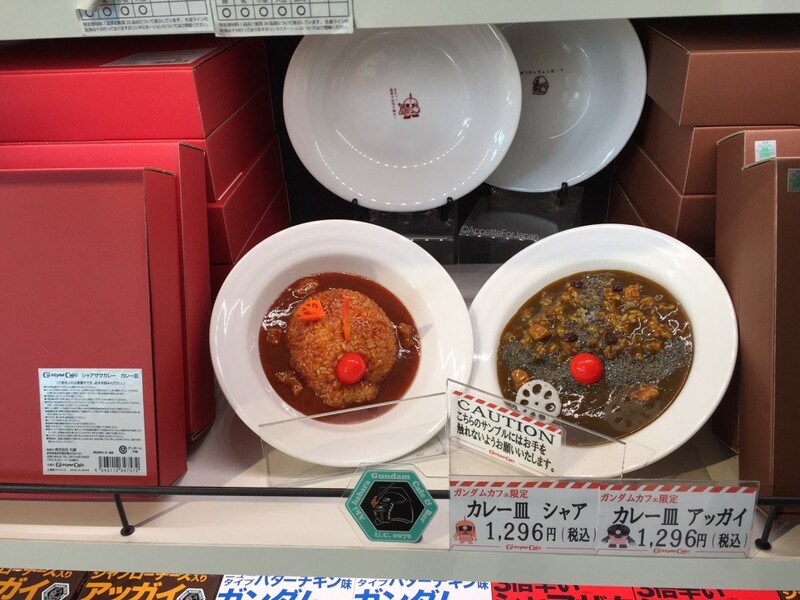 These are Gundam themed curries. 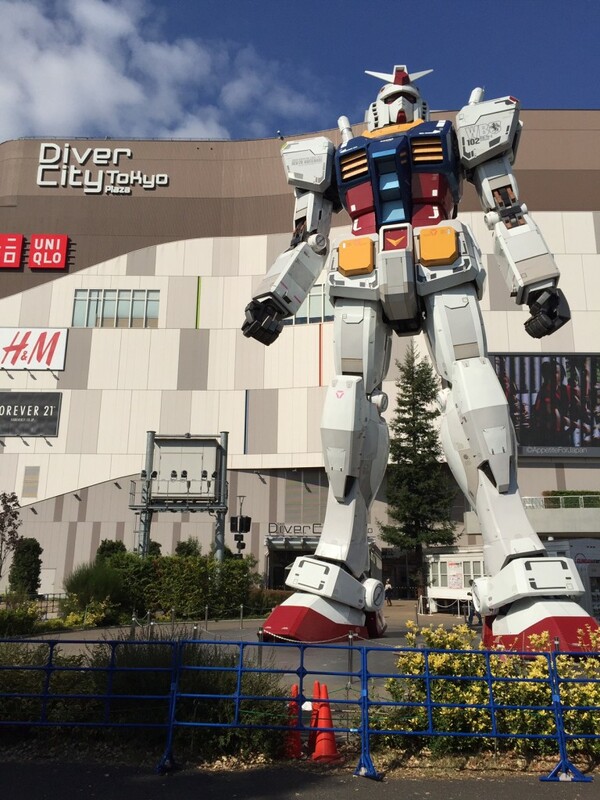 The Diver City Tokyo Gundam Cafe is open 10:00 to 21:00 each day. Just look for the giant Gundam and the “cafe” is right nearby. 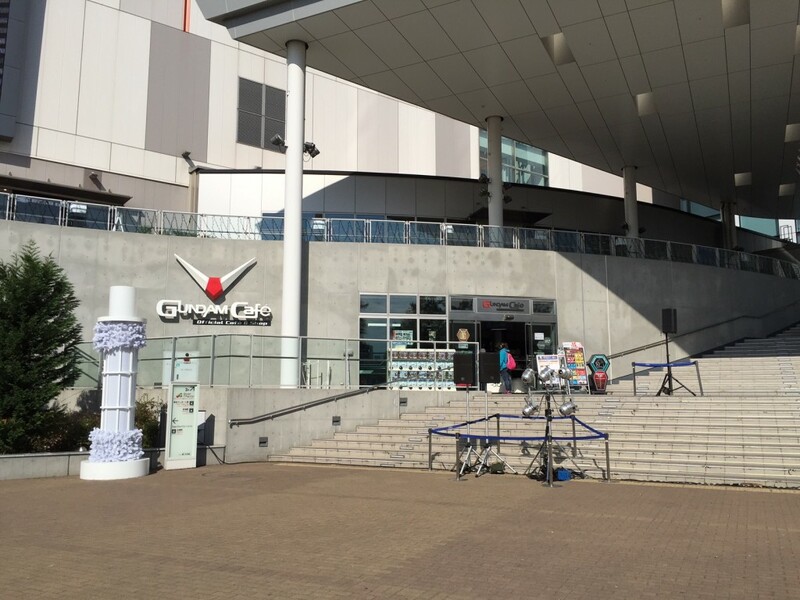 The there is an area on the steps next to the Gundam Cafe where they often feature performances by J-Pop groups and other celebrities. These can attract large crowds and security guards who will try to usher you away from the area. 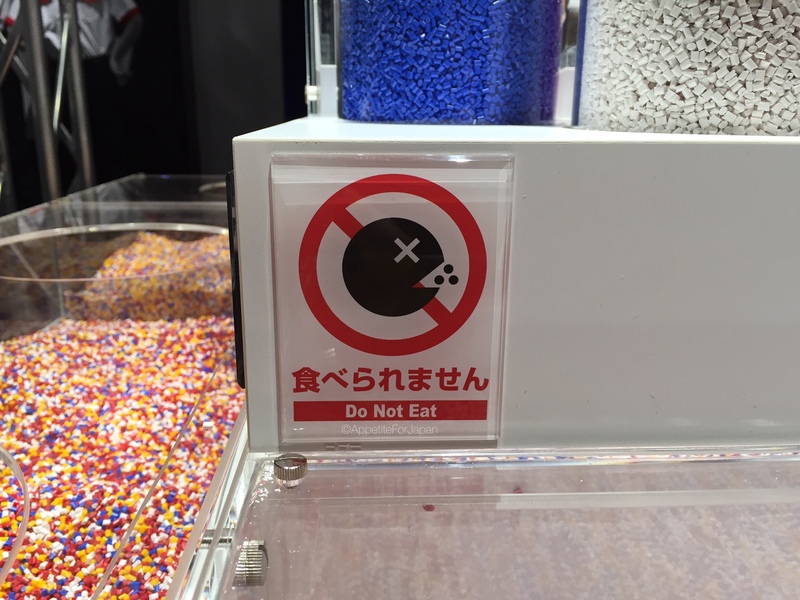 Don’t be phased by this if you’re trying to get to the Gundam Cafe. Even while the performers are “on stage”, you can still go up the steps into the cafe. Above: Some kind of manufactured J-Pop group wearing gold sequined outfits was performing when we last visited Diver City. I took this photo from just outside the Gundam Cafe. The downside of visiting the Gundam statue at the same time as one of these groups is that the crowds will often stand where you’d probably want to pose for any shots with the statue. Then again, how often can you see a manufactured pop group in gold sequin outfits and a giant 1:1 scale Gundam at the same time? 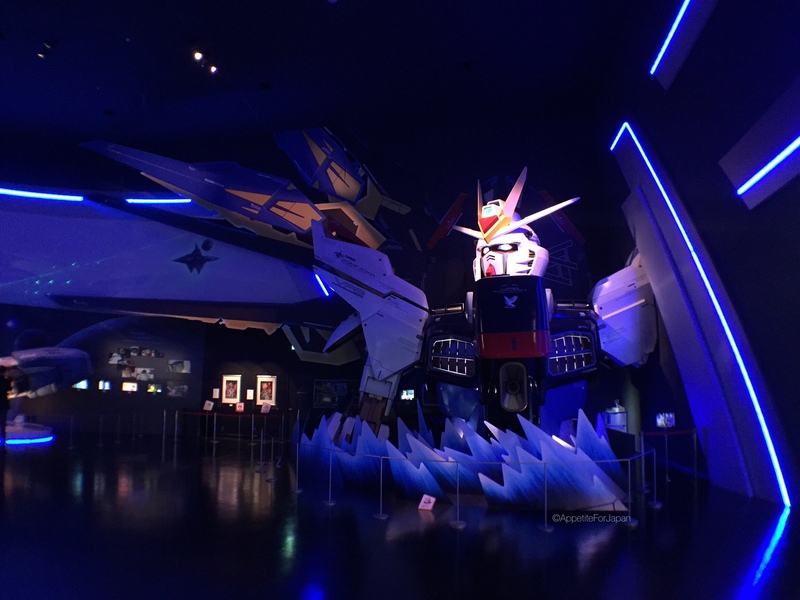 Gundam Front is located on the 7th floor (7F) of the Diver City Tokyo shopping center. If you’ve come in the entrance near the Gundam statue, go straight to the escalators in the food court (you should be able to see these as you enter the shopping centre) and go all the way up to 7F. 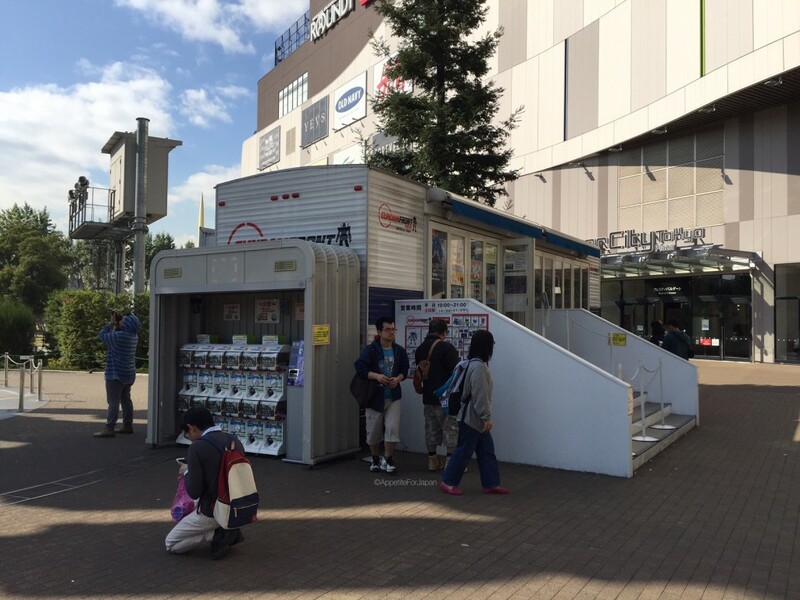 Once you get there, you’ll see the entrance to Gundam Front (you won’t be able to miss it). 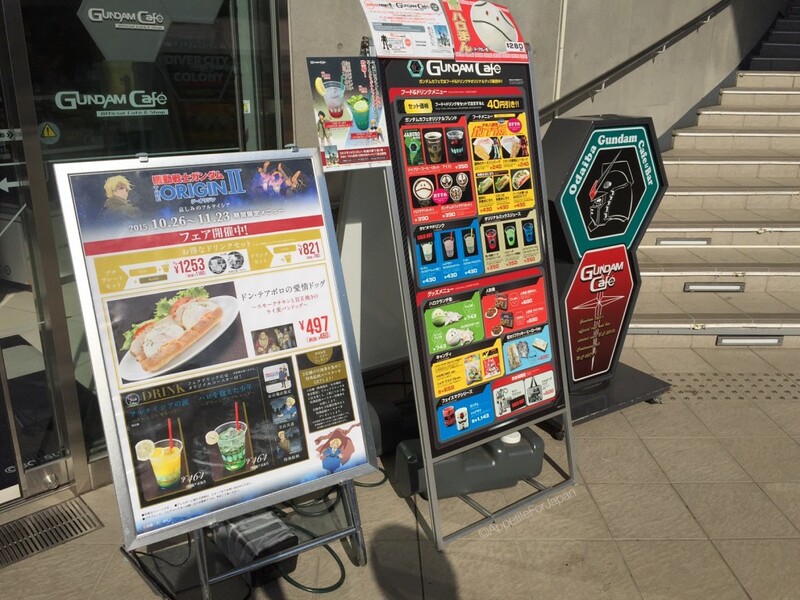 Part of Gundam Front can be accessed for free, whereas other areas require tickets which can be purchased at the information counter at the entrance. If you’re a serious Gundam fan (which you probably are if you’re making the effort to travel to Odaiba to get your Gundam on), then I would recommend paying the 1,200 Yen entry fee to access the paid area. 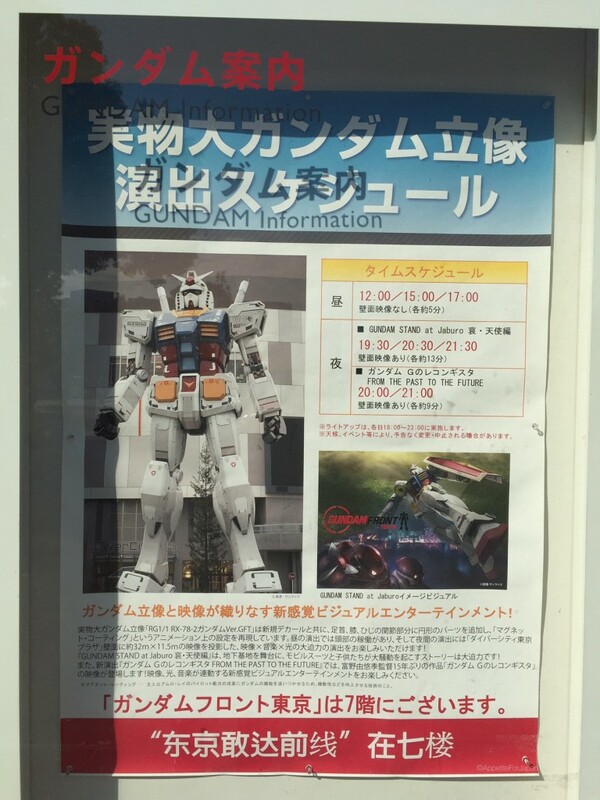 If you stay in Project Room G at the Grand Pacific Le Daiba Hotel (also known as the Gundam Hotel), then tickets to the paid area of Gundam Front are included. 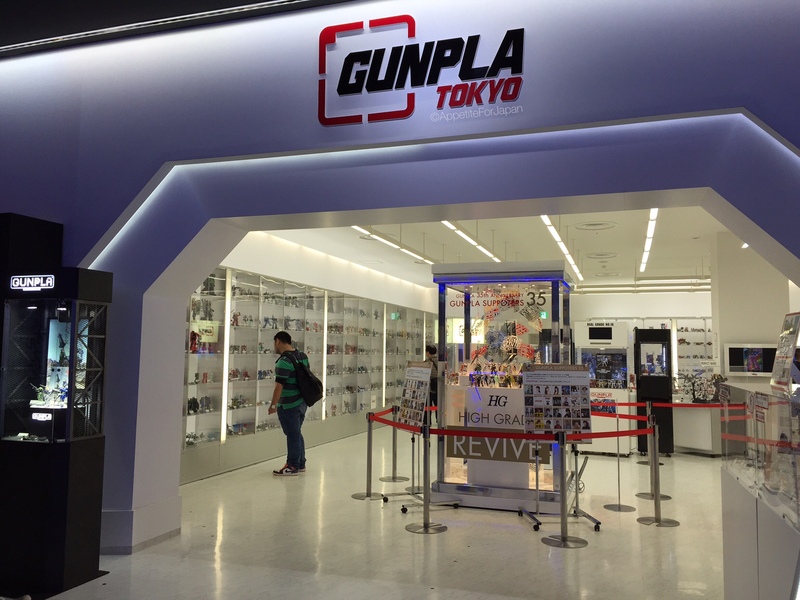 Gunpla Tokyo is part of the free area. 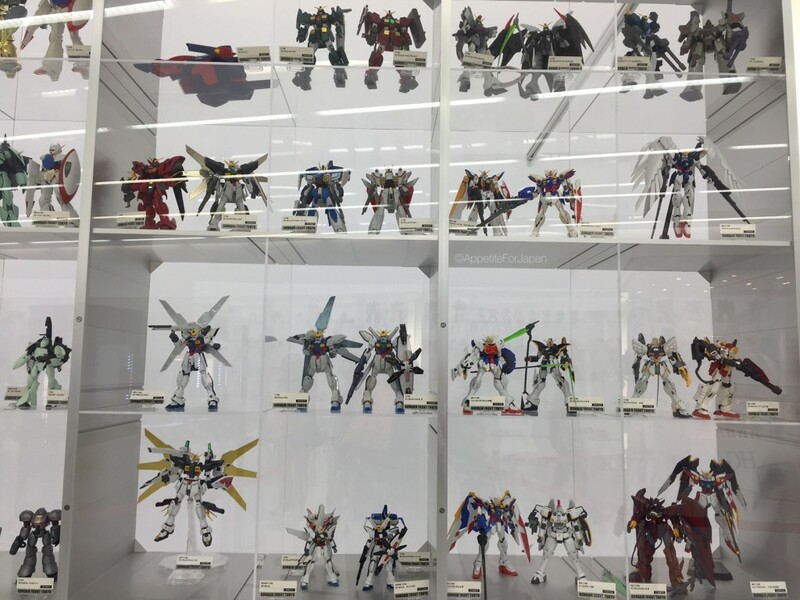 It has hundreds of Gunpla figurines from over the years. 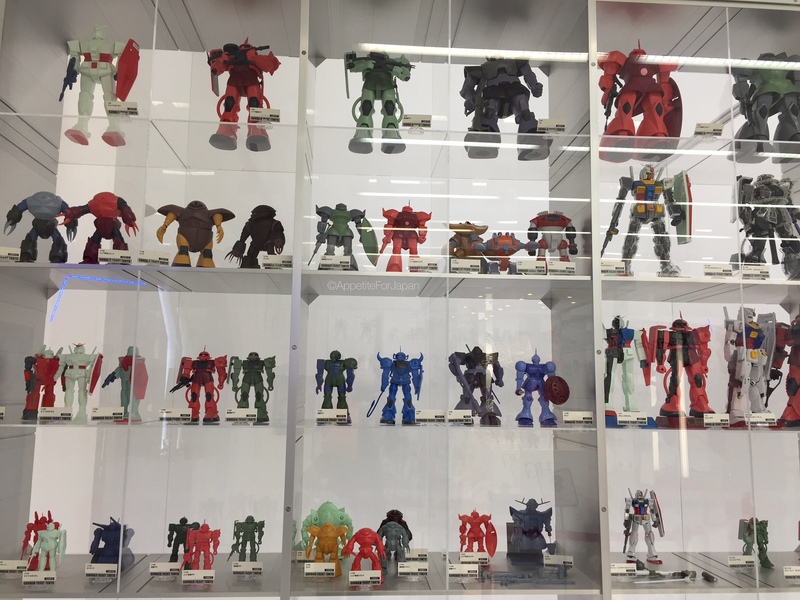 Above: Some of these are really old-school, so definitely worth a look if you’re interested in seeing retro Gunpla as well as the more recent models. 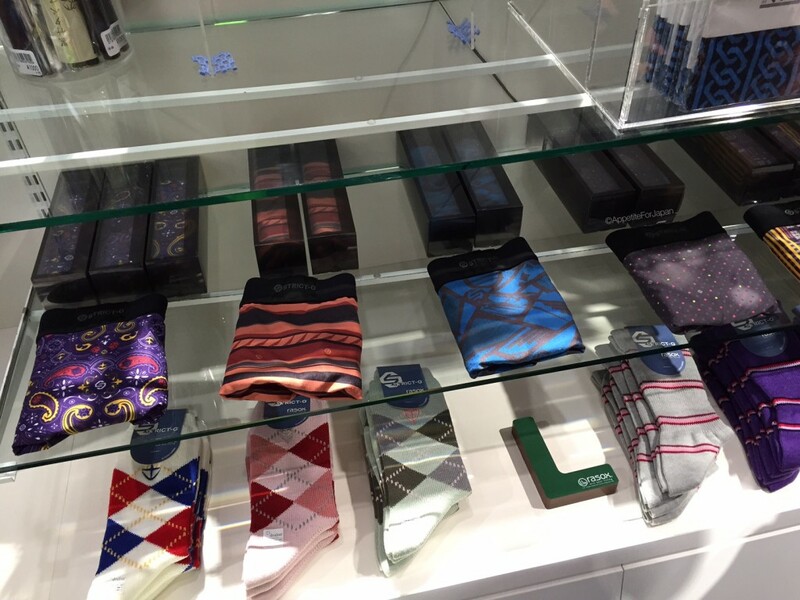 You can also see some of the limited edition ones – some of which are for sale (others have already sold out). 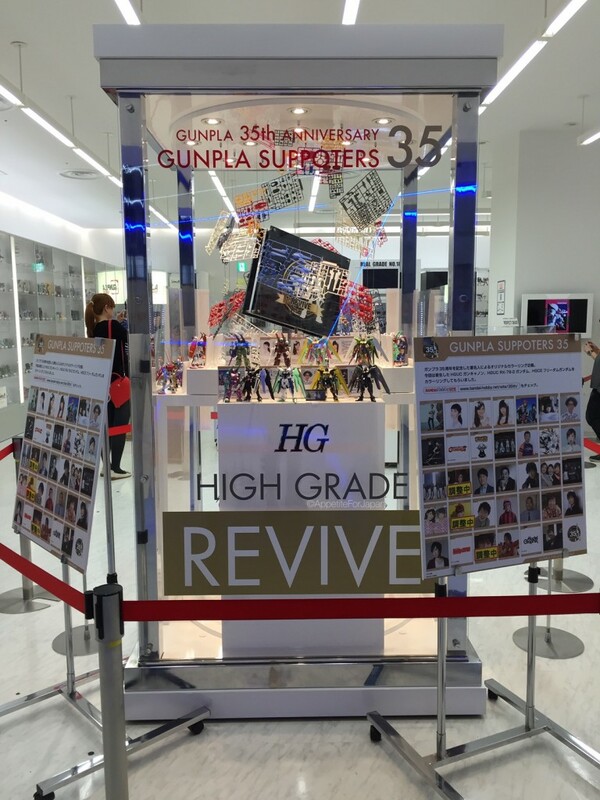 There is even a display of Gunpla Supporters – celebrities who are into Gunpla. 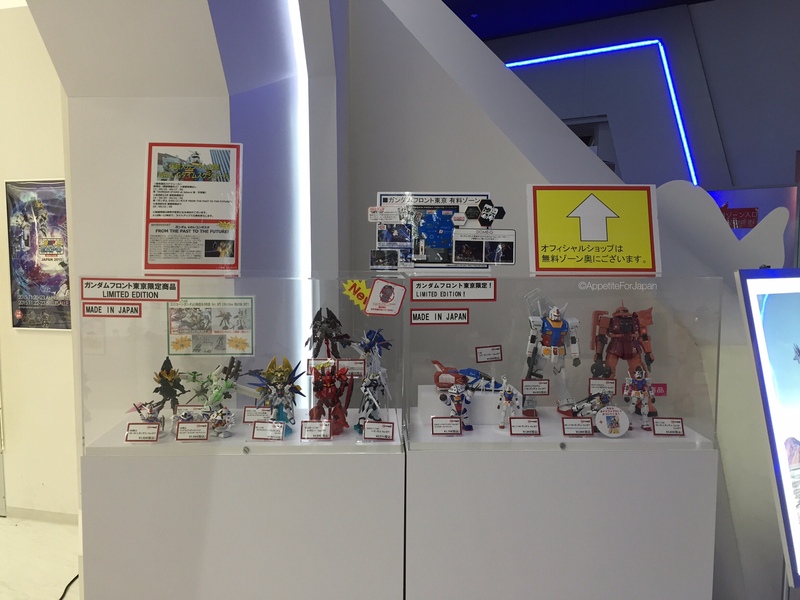 You can see the list of supporters, along with some of their favourite Gunpla. Above: Dome-G is part of the paid area. 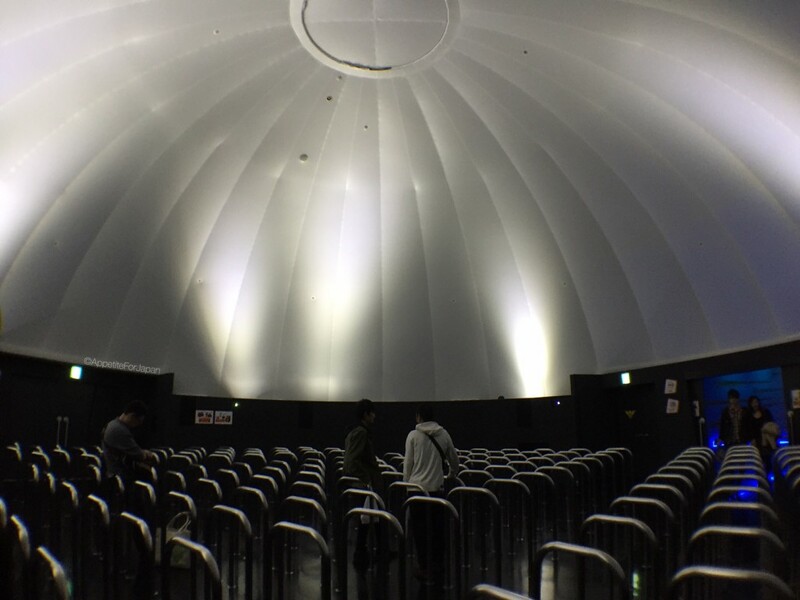 It’s a cinema where short Gundam films (around 7 to 15 minutes) are shown on the dome ceiling. Photos and videos of the films are prohibited, so this is the only photo I took. The dome is a standing area, with individual railings to hold onto and/or lean against. There are two films which are shown at alternating intervals. If you purchase a paid ticket, you can see both of these, and they change the films from time to time. Above: Next to Dome-G is the Experience Field. I took the above fish-eye shot to capture as much of the area as possible in one photo. Experience Field is also a paid area. There is a giant Gundam – well, the top half of it. This is an RG1/1 ZGMF-X20A Strike Freedom Gundam Ver. GFT from “Mobile Suit Gundam SEED DESTINY!”. 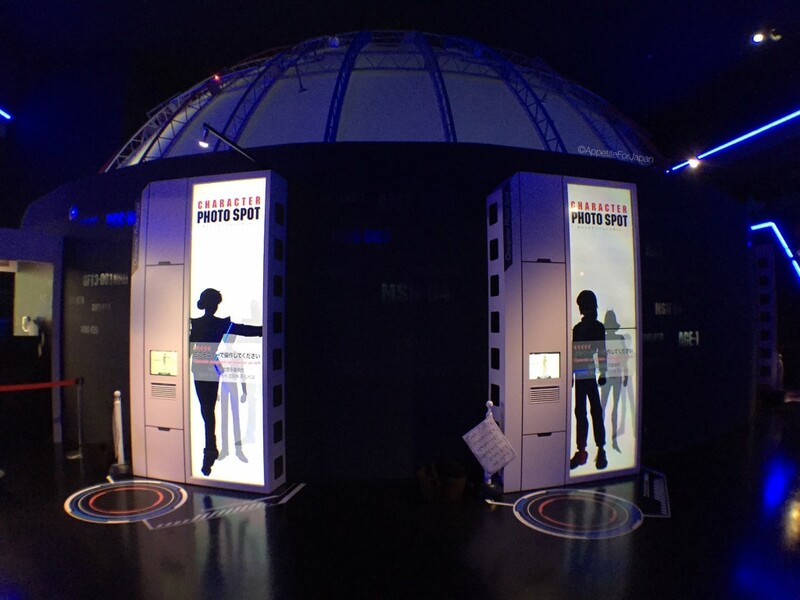 A couple of years back, they had costumes that you could put over your clothes, and you could climb into the Gundam mobile suit to have 3D photos taken. We did this two years ago and the photos turned out really well. Unfortunately they seem to have discontinued this. 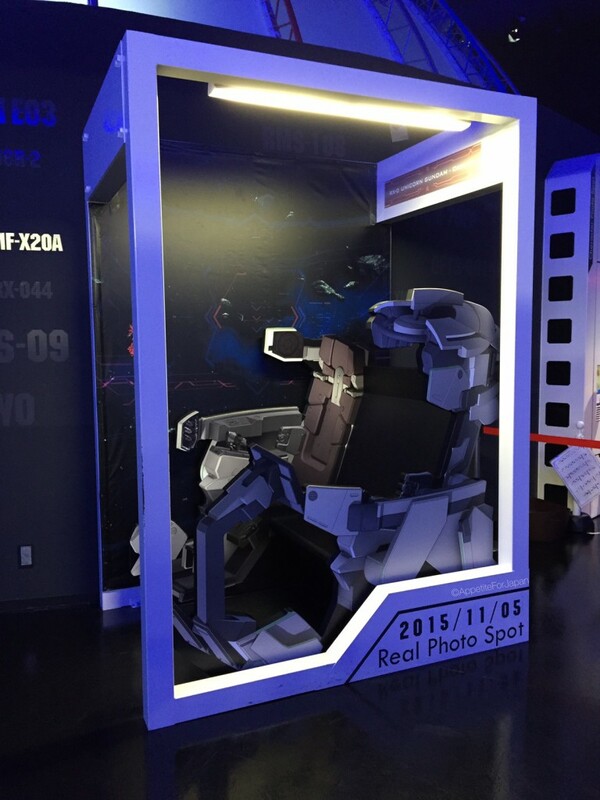 There are several ‘photo spots’ to pose for Gundam related pictures. In the above photo spot, you can sit in the chair for a photo. There are plenty of staff who will offer to take a photo for you if you’re on your own, or if you want a couple or group shot in front of something. Above: You can select a character to pose for a photo with. There are three of these. Note the roof of Dome-G behind it. It seems quite large when you’re in there, but from the outside, Dome-G looks a lot smaller. Above: A 1/1 Core Fighter from the finale of “Mobile Suit Gundam”. Apparently this was revised and refreshed for Gundam Front. 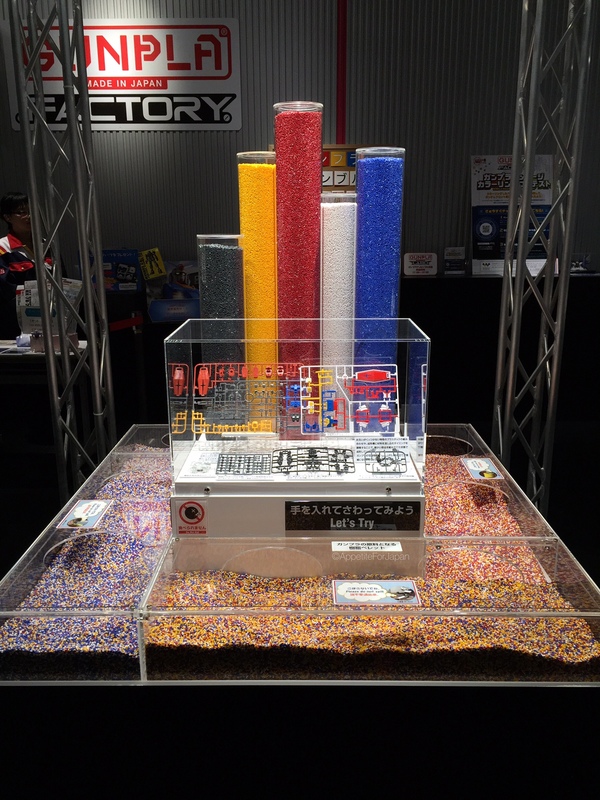 Above: The little plastic pellets that are used to create Gunpla. 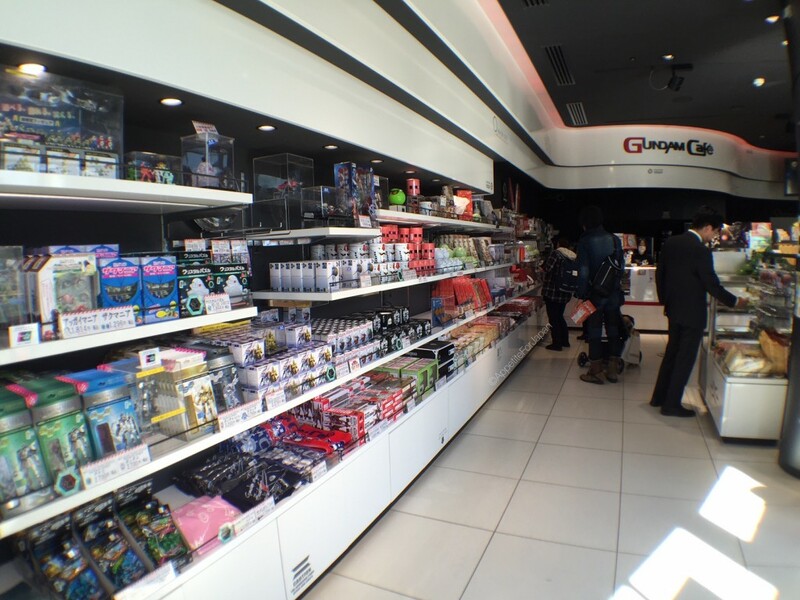 The Gunpla Factory is also part of the paid area. Do not eat these (and, according to the image, do not feed them to Pacman). 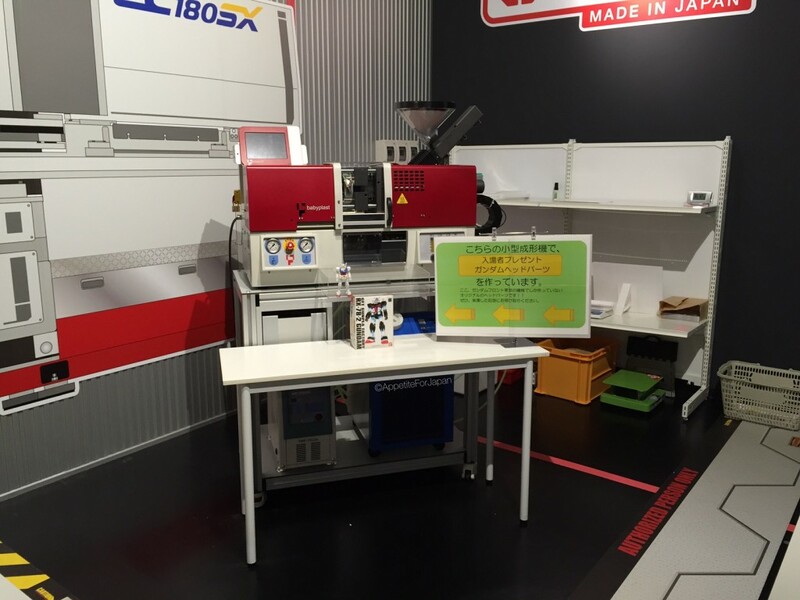 There is also a workshop – Gunpla Labo – where you can assemble part of a Gunpla kit. This involves paying an additional fee, and you need to have paid for an ordinary admission ticket in order to do this. We didn’t bother. 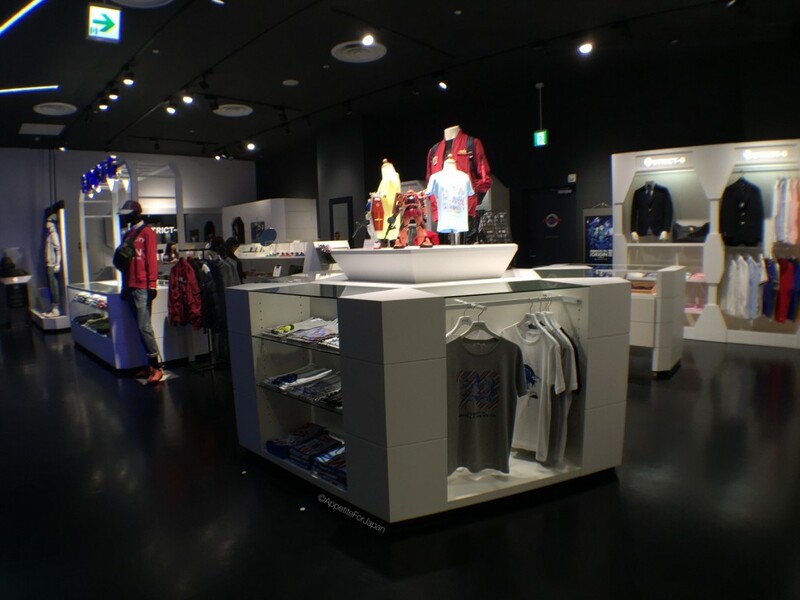 Back into the free area, you’ll exit Gundam Front via another Gundam merchandise store. 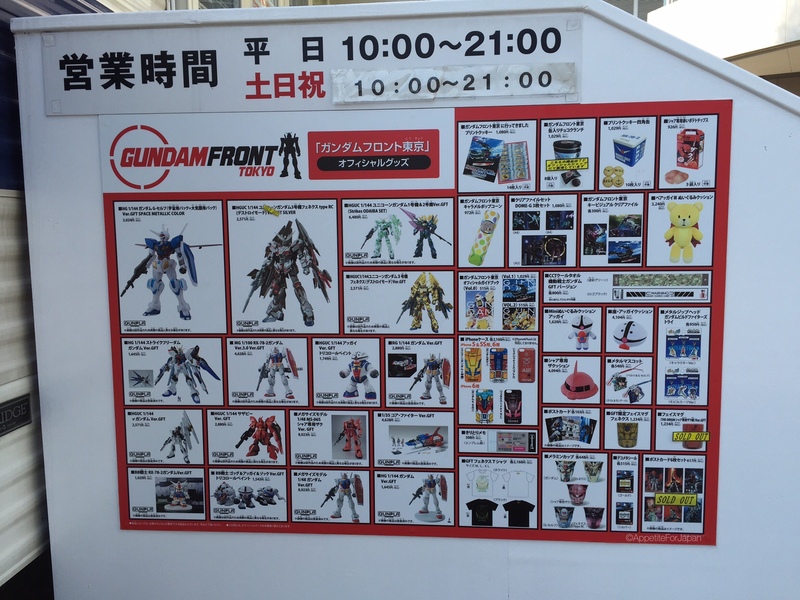 This shop has many of the same items that you can purchase from either the Gundam Cafe or the other Gundam shop outside by the Gundam statue, but also has some items that you can’t get at those shops. 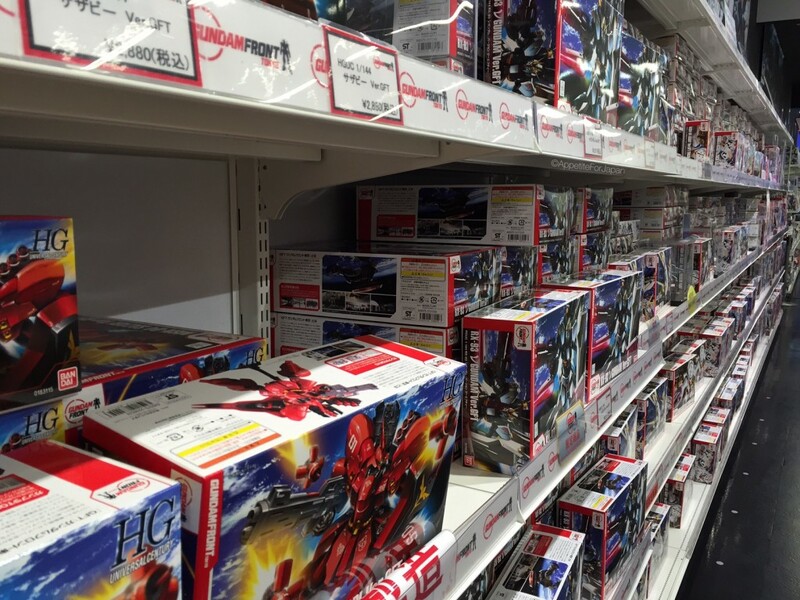 If you’re looking for an exclusive Gundam Front Tokyo Gunpla kit, they sell many of those. 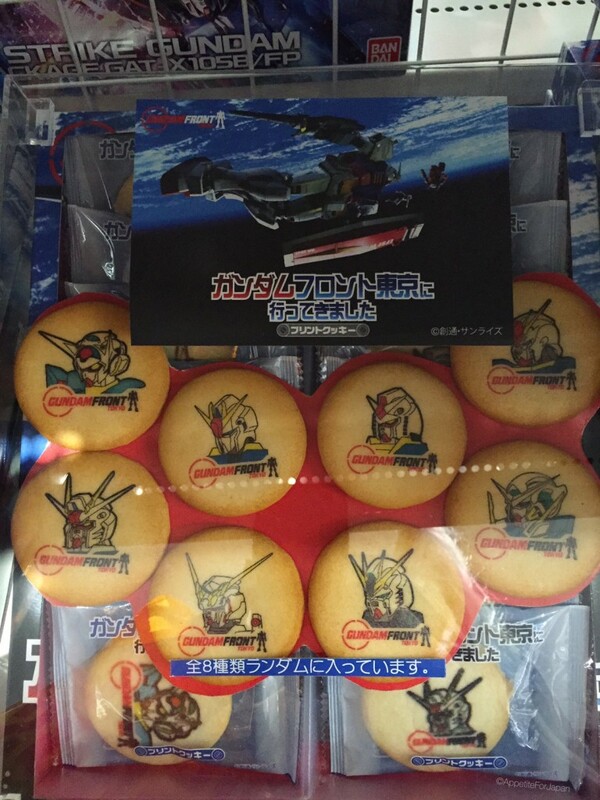 Above: Exclusive Gundam Front cookies. 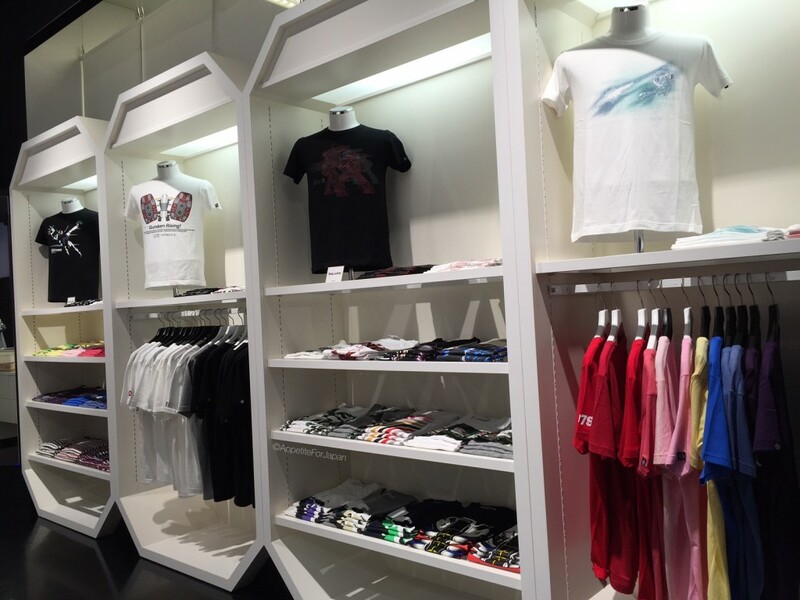 Next to the Gundam Front Official Shop is the Strict-G shop. 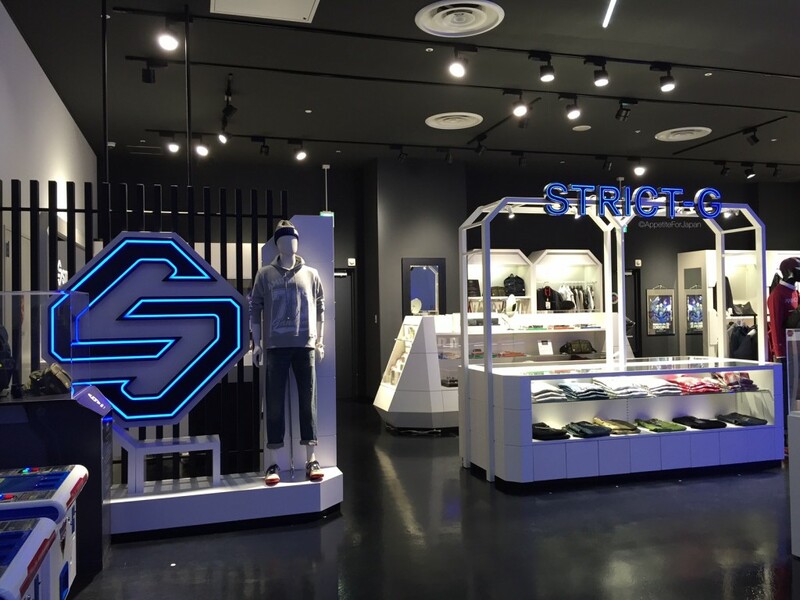 Strict-G is a brand that merges Mobile Suit Gundam with other clothing brands (such as Onitsuka Tiger), so the clothes are meant to look ‘cool’ with just a subtle hint of Gundam. You can access the Strict-G website here. Strict-G is mostly menswear, but they do have a few t-shirts for women and for children. 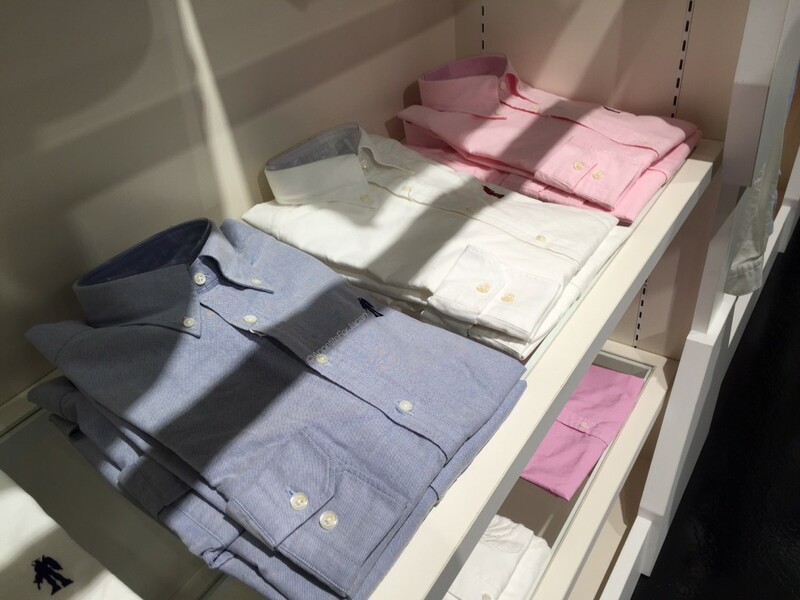 Above: Impress (or confuse) your colleagues by wearing work shirts with embroidered Gundam silhouettes to the office. Above: Strict-G underpants. Why hasn’t anyone thought to name these ‘Gunderpants’ or ‘Gundapants’? 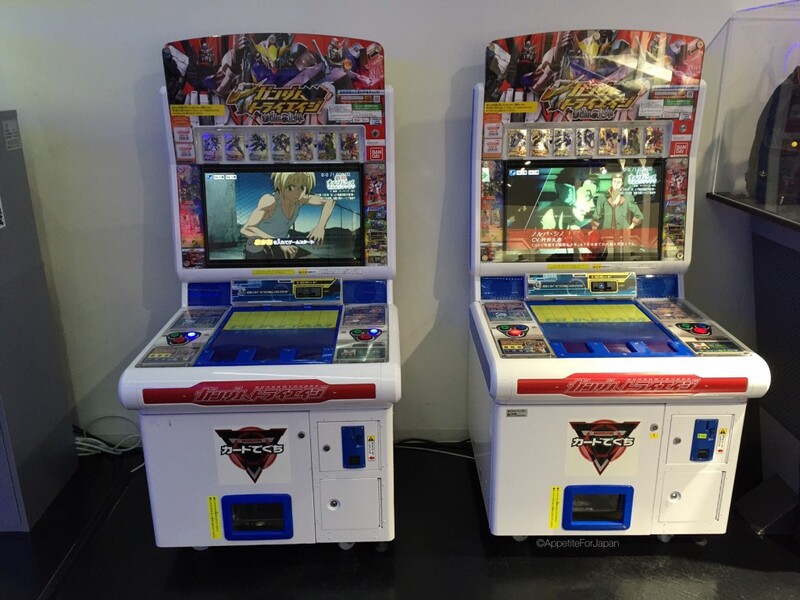 Outside the Strict-G store, you’ll find some retro Gundam arcade games, and even more Gundam gachapon. 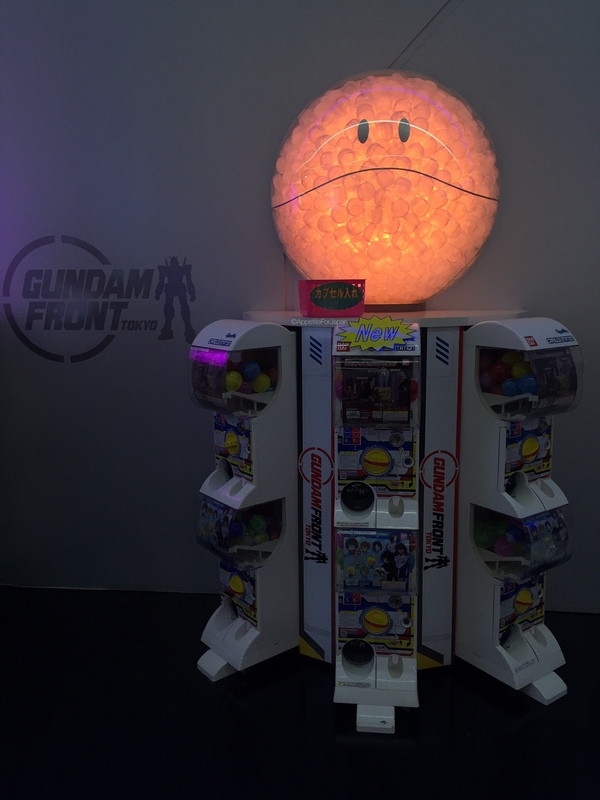 Above: Note the big Haro on top of the gachapon. It changes colour. 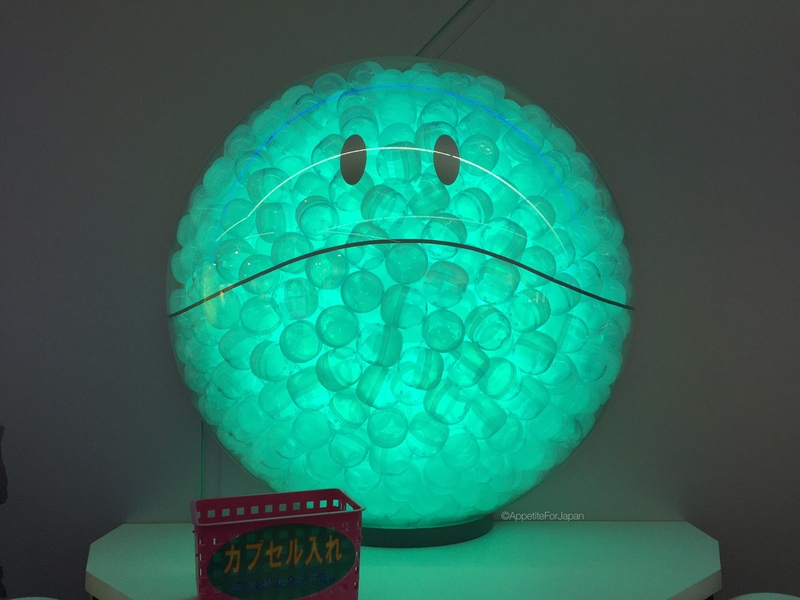 Above: The giant Haro is filled with gachapon cases. 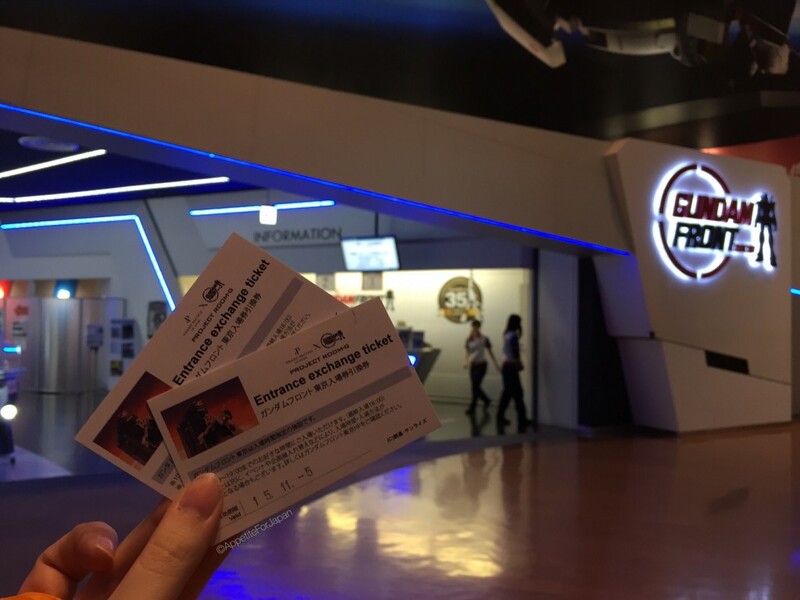 If you want to purchase tickets to Gundam Front (for the paid area, that is), you can buy these at the ticket counter at the entrance to Gundam Front. Tickets cost 1,200 Yen for adults and high school students, and 1,000 for primary/elementary and middle school students. 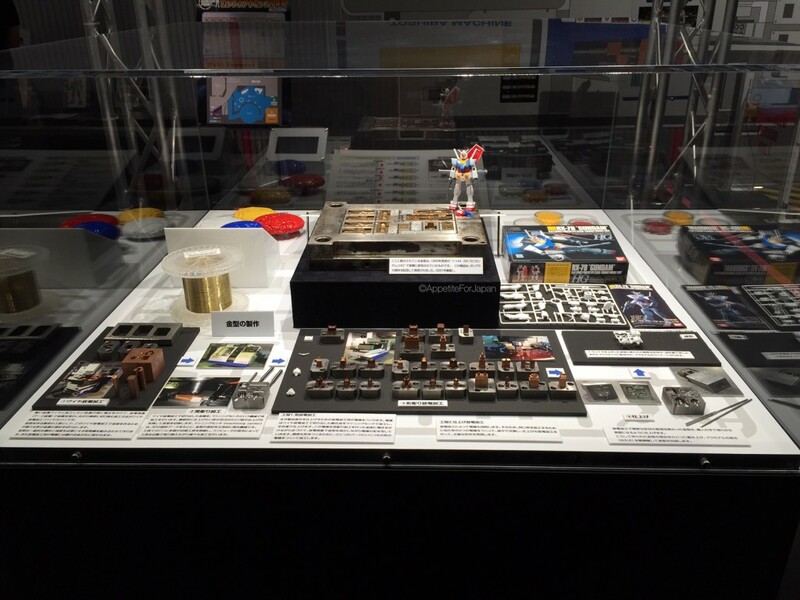 For more information on Gundam Front Tokyo, visit the website here. 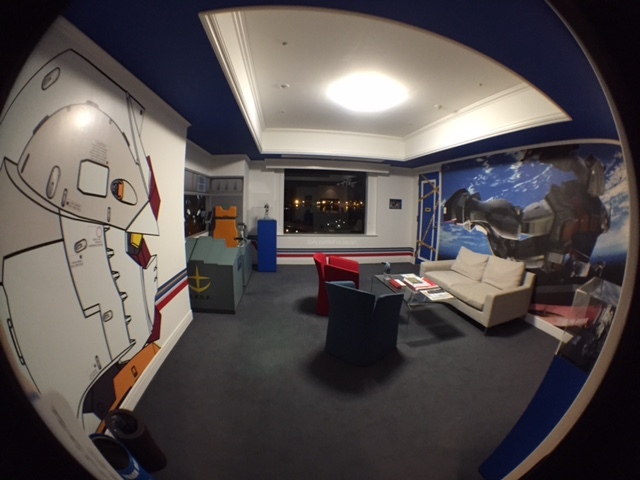 If all of the above is not enough to Gundam to satisfy, there is always the option of staying in a Gundam themed hotel suite for the ultimate Gundam experience. 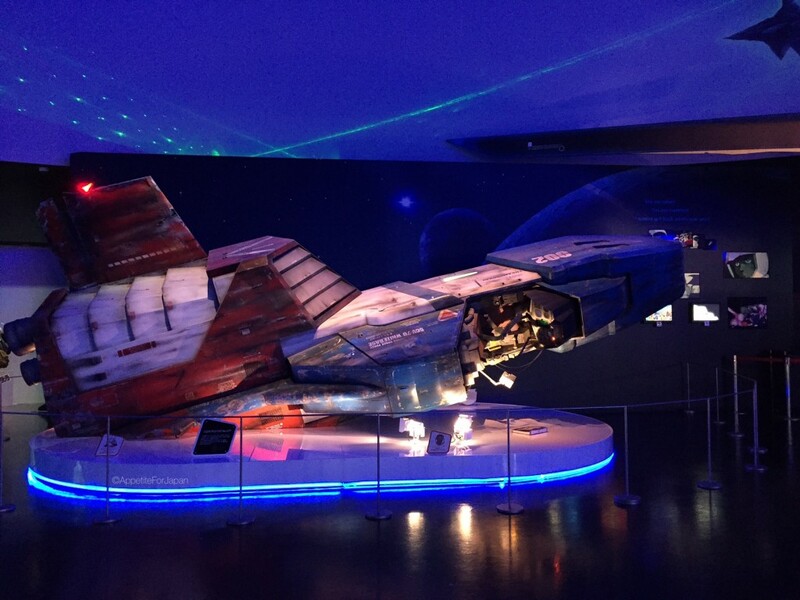 Above: The exclusive Gundam themed hotel suite in Odaiba – yes, we stayed there. Click here to read about it and to see all the pictures (and a video).